Perennial wild flowers, grasses and yellow rattle can be successfully established from seed within existing vegetation, provided that the existing vegetation is suitable and sufficient gaps are created in which seedlings can find space to germinate and grow to maturity. This route to establishing wild seeds requires more selective and targeted approaches compared with total clearance. NB this approach does not work for cornfield annuals which require completely open, freshly cultivated soil each year. The most suitable sites will be of low to medium fertility, with a fine sward structure free of perennial weeds and vigorous grasses. Preparation should begin by implementing an appropriate management regime at least one year before seeding. This will include rigorous mowing or grazing to reduce the vigour of coarser grasses and develop a better sward structure. Weed control: Problem perennial weeds in grassland should be controlled by selective measures such as targeted spot spraying, weed-wiping, overall selective herbicide treatments or mechanical removal. Allow enough time between spraying and seeding for chemical residues to disappear. Glyphosate (Roundup) is rapidly inactivated in soil and presents no hazard to seed sown (even if applied on the day of sowing) but some selective grassland herbicides persist in the soil for months, especially products containing clopyralid (consult the chemical's instructions for guidance). 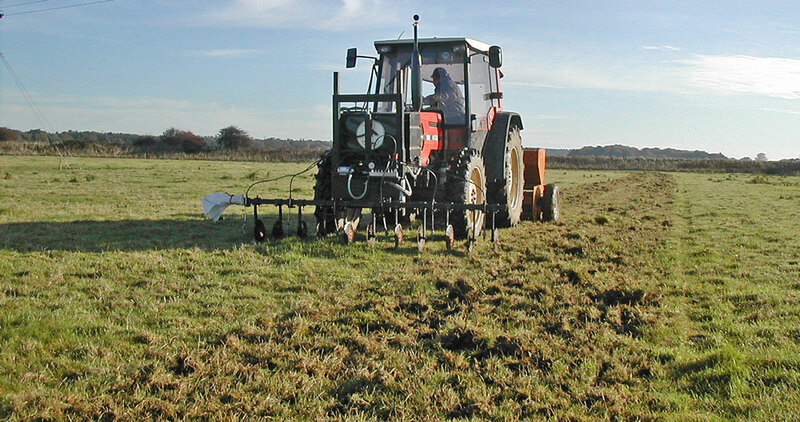 Mow/graze: The sward should be cut or grazed hard in the autumn; aim to keep the grass short (30-50mm). Graze or mow both before and after seeding as needed. • chemically by spraying 25cm wide bands or patches with a contact herbicide (such as glyphosate) killing up to 30% of the ground cover. Mechanical disturbance needs to be severe to work (40-50% destruction) as grass can recover and grow back very rapidly. Disturbance and seeding is best applied at a time when grass growth is in decline as in autumn. In spring, grass growth and recovery is too rapid and will shade out seedlings. Where acceptable the chemical approach has some advantages in that it is simpler to apply and lasts longer than mechanical disturbance, thus giving a longer window of opportunity for seedlings to get established. This approach also avoids bringing more buried weed seeds to the surface. Once ground preparation has been completed (with either approach), seed can be sown by surface broadcasting. Rolling is not usually needed for autumn applications as the weather will settle the seed to the soil. Hooves of grazing animals, where present, may help firm in seed. Yellow rattle established in a sward will often help other sown seed establish by leaving gaps at the end of each growing season as the annual yellow rattle plants die away. Weeds should be controlled by spot treatment or mechanically removed. Tall and matted vegetation should be trimmed or cut back. 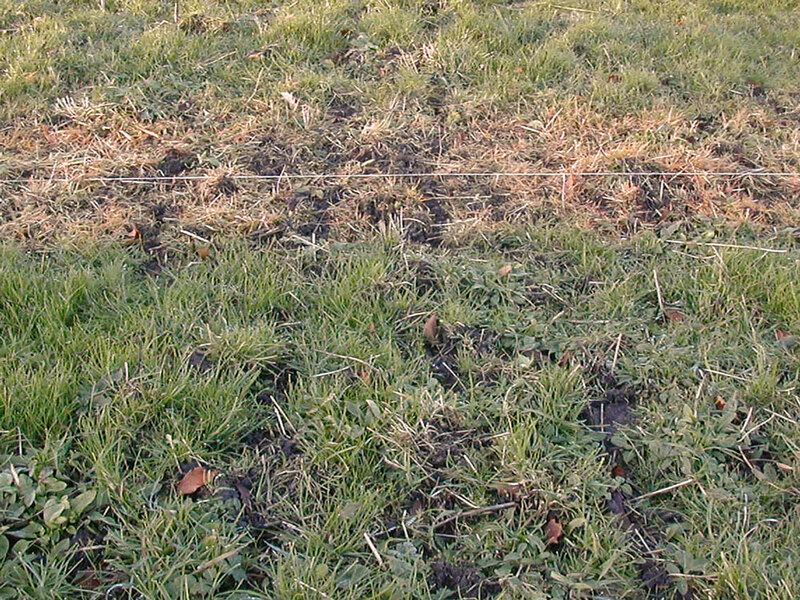 Gaps can be created by spraying or digging out patches within the vegetation. Take care around established trees and hedges as cultivations can be damaging to tree and shrub roots - only shallow cultivations are safe here.